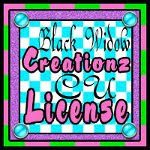 LOVE WHISPERS scrapkit by Wicked Princess Scraps, which you can purchase HERE or HERE. And I used the free tube called HOLIDAY STALKER made by Ismael Rac, which you need a license to use, and can get at www.xeracx.net. 2. Open as layers the diamond scatter in the kit and flip it. Scale down the layer to just around 720 x 699 then use the rotate tool about 30 degrees to get it in the right position. Duplicate this layer and flip that then line it up appropriately, and merge the two layers. Click and drag this layer to the bottom of layers box. 3. Open paper 11 from scrapkit as a new layer. Move under the frame layer. Click on frame layer to make it active in layers box. Use the magic wand tool (fuzzy select) and click within the frame. Hold down the shift button and click on the other side of the heart frame. Go to SELECT>GROW by 6. Then click on the paper layer to make it active. Go to LAYER>TRANSPARENCY>ADD ALPHA CHANNEL then to SELECT>INVERT and EDIT>CLEAR. The papoer should be in the frame only. 4. Open your tube of choice as a new layer, the one I used comes with 2 sizes, one close-up, which I flipped then framed within the frame just like the paper. The other layerm I resized to 172 x 363... I also added a drop shadow to this layer- go to FILTERS>LIGHT AND SHADOW>DROP SHADOW and change the settings to 4/4/9. 5. Open the satin bow as a new layer, scale down to 240 x 242. 6. Open the heartkey as a new layer and scale down to 105 x 338. Add a drop shadow with the previous settings to this layer. 7. Open as layers the bow and scale to 300 x 300.
of artist, artist's website and your license number to use their art. 9. I used a font called champagne as the text for the name. I wrote it in white, used the color picker tool to get a good blue shade (from bow) and right clicked on the text layer and chose Alpha to Selection. Then I went to SELECT>GROW by 2 and added a new layer, with which I filled in with the blue shade I picked a moment ago using the bucket fill tool. Then added a drop shadow. 10. Save your tag as an .xcf file first so you can go back and change anything if you need to... then when you are happy with the way it looks save as a .png for a transparent background.